The Panasonic AG-CX350 is a handheld camcorder that is 4K in 10bit at 60p plus HDR recording which is a nice boost. 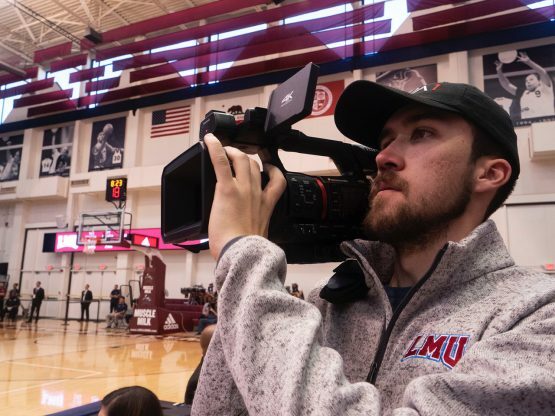 The new camcorder is equipped with the RTMP/RTSP/RTP protocol for live streaming and NDI | HX-ready IP connection. The camera is fairly lightweight at only 4.2-lbs. 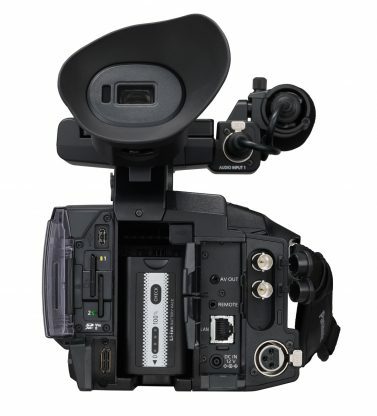 (body only), Panasonic states the AG-CX350 is the lightest 4K 10-bit fixed-lens camcorder in its class. Panasonic he 1.0-type MOS sensor (approx. 15.03-megapixels in UHD/FHD) will give you pretty good shallow depth-of-field however that really isn’t the strength of a smaller 1.0 type MOS sensor. The Panasonic AG-CX350 can capture in UHD (3840×2160), Full HD (1920×1080), HD (1280×720), and SD (720×480). 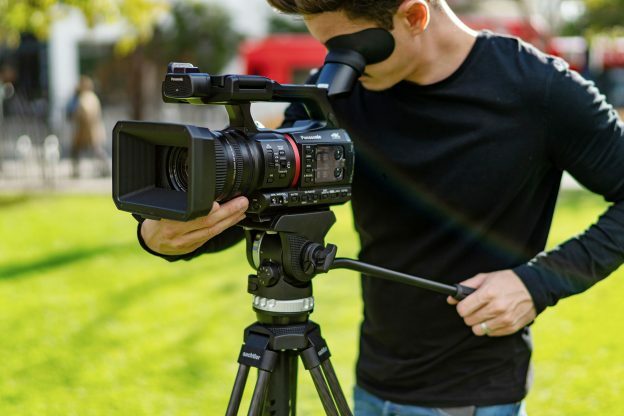 Like the EVA1, the CX350 offers 10-bit 4:2:2 color sampling with ALL-Intra (400-Mbps) and LongGOP (150Mbps) and can be recorded in UHD up to 29.98p/25p and FHD up to 59.97p/50p. It also supports the 10-bit HEVC codec at UHD up to 59.97p/50p with a low bit rate of 200Mbps. The HEVC 10-bit codec can be natively decoded and played by computers with 7th Generation (or later) Intel Core i7 chips. All of these formats and compression rates can be recorded internally to lower cost SD cards. The CX350 offers multiple forms of IP connectivity. 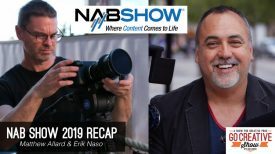 It is the first handheld camcorder with in-camera NDI | HX compatibility (requires license purchase of $299 USD from Newtek), allowing for high-quality IP video connectivity with live production switchers, including the Panasonic AV-HLC100 Stream Studio. The CX350 contains the RTMP (Real Time Messaging Protocol) function, which enables video streaming to key social platforms like Facebook Live and YouTube Live. Internal HD recording (MOV) while streaming content is also available. The CX ROP app for iOS/Android tablets enables IP remote control of the CX350 with Gigabit Ethernet LAN connector (RJ45), or wireless module (AJ-WM50). With the app, you can control functions such as camera settings, picture quality adjustment, REC start/stop, menu settings and more. The Panasonic AG-CX350’s integrated lens contains a wide angle of 24.5mm at the wide-angle setting with minimal-distortion. The 20x optical zoom lens covers the range from 24.5mm to 490mm (35mm film equivalent at 4K/HD). It also has the 35x(HD) / 24x(4K) Intelligent Zoom function. 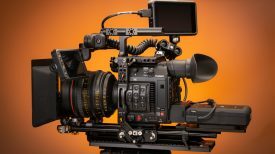 In both 4K and HD shooting modes, the CX350 uses 5-axis hand-shake correction that combines the effects of both optical and electronic image stabilization, providing a steadier image in unstable shooting conditions. 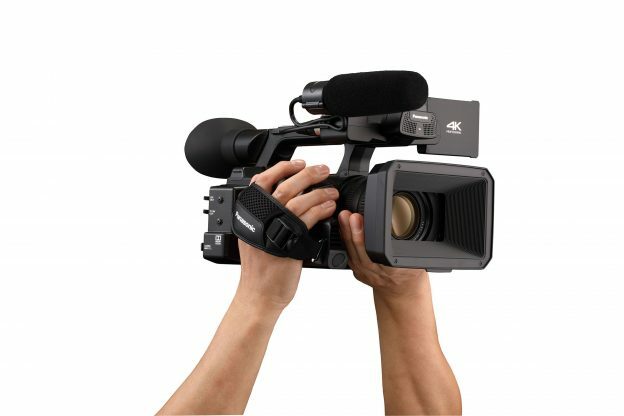 Variable Frame Rate (VFR) recording can be set in the range of 1-fps to 60-fps (59.94Hz). 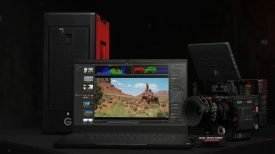 In FHD mode, Super Slow motion can be achieved at 120-fps/100-fps (59.94Hz, 50Hz). 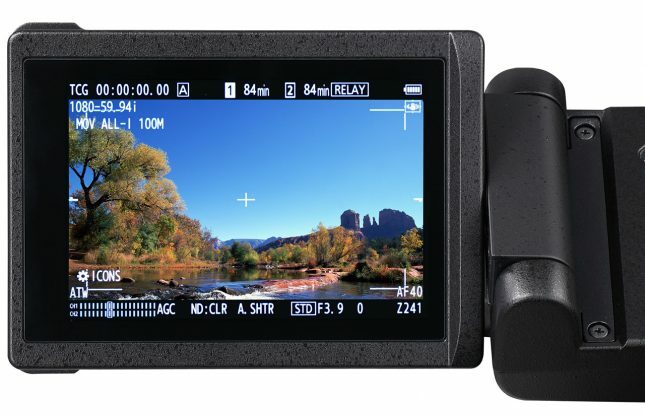 The CX350 can also capture 720p AVCHD 8-Mbps, for a video analysis and compatibility with DV Sports and XoS Digital, plus an interchange format. 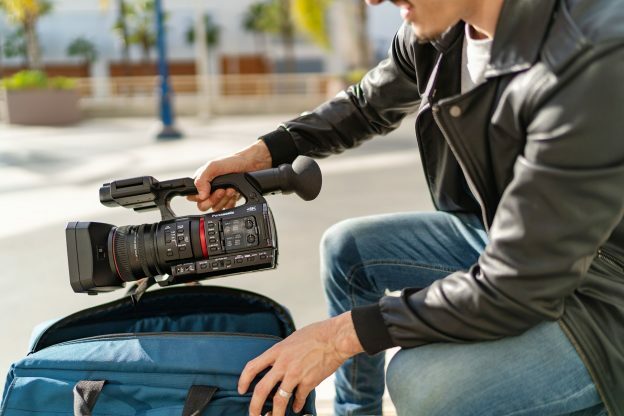 Additional key features of the CX350 include support for AVCHD, simultaneous SDI and HDMI output (UHD video via HDMI and output of HD video via 10-bit, 4:2:2 SDI), two audio channels from the built-in stereo mic, or two XLR audio inputs, and low power consumption at 17 W. Two toggle switches for GAIN and WHITE BALANCE are available, as well as two Accessory Shoes for additional versatility. 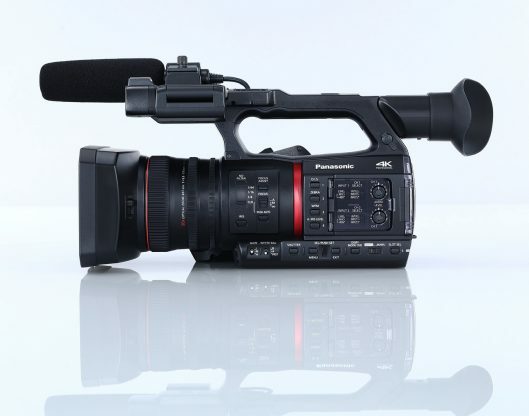 In addition, the Panasonic AG-CX350 will offer future P2 capability (via a free firmware update). The Panasonic AG-CX350 will be available in late February 2019 with a suggested list price $3,995.